In a change to the scheduled listing, on Tuesday Sporting Khalsa will welcome Eccleshall FC to the Aspray Arena for a Staffordshire Senior Cup first round tie (kick off 7.45pm). North West Counties League Division One side Eccleshall will go into the game sitting in 17th spot in the league having won four and lost seven games so far this season. They ply their trade in the same division as Stone Old Alleynians who Khalsa recently faced in FA Vase action and who are sixth in the league. This will be Khalsa’s first of two cup ties against North West Counties opposition, ahead of next Saturday’s National Non-League Day FA Vase clash against premier division side Winsford United. One man stands out as the obvious dangerman, Daniel Needham having already scored eight for Eccleshall this season, including six in the league. 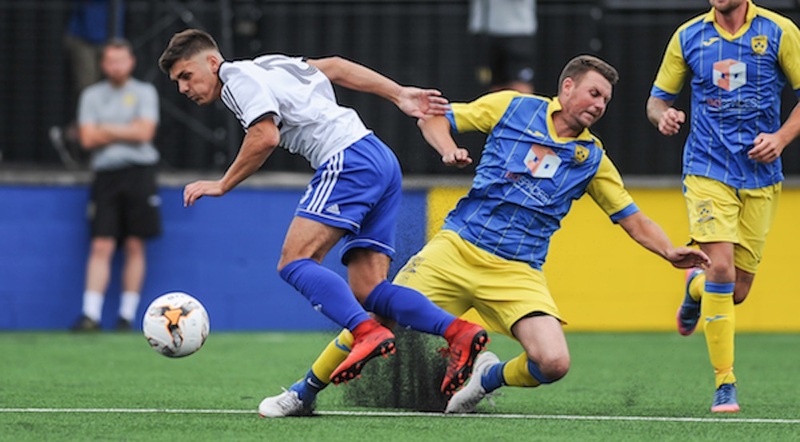 Khalsa go into the game on a seven match winning streak having beaten Romulus 4-2 at the Aspray Arena on Saturday thanks to a brace from top-scorer Dan Westwood and goals from Lee Chilton and Rico Taylor. The winning team will travel to face the winners of the first round game between Hanley Town and Stone Old Alleynians in the next round.